Top 20 Free Online Dating Sites. We humans yearn for companionship. In the US and Europe finding a life partner is not based on the arranged marriage system, thank god. It is an elaborate social ritual. Exhausting or thrilling, depending on your point of view. Online dating sites help singles meet their prospective partner by matching their attributes. Free and paid sites both are equally popular. 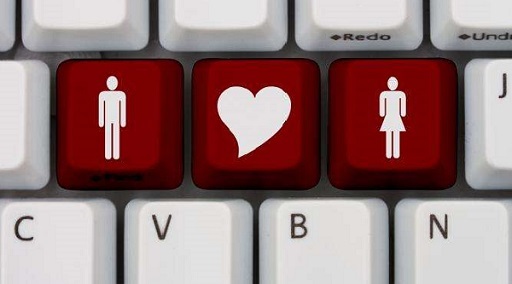 These are our picks for the top 20 online dating websites. All offer a free version, but many has a premium, paid version too. The Top 20 Online Dating Websites – Based on Popularity. This site is a social networking site with its focus entirely on dating. It is very popular in Europe. Registration is compulsory. This fast growing website attracts a lot of visitors. Registration is free to every adult single interested in finding a mate. In its paid version, there are no advertisements. The site uses the match percentage algorithm to match profiles of the prospective partners. Plentyoffish.com is a free dating site which is very successful in Canada, Australia, US, Brazil, and other South American countries. A lot of its members log in through their mobile devices. It boasts of creating 1 million dating relationships every year. This paid website was developed in 1995. Despite being a paid service, this website is very popular. The site uses effective search tools to deliver satisfactory results. Its tagline is, “life is too short, have an affair!” This free dating site enables its members to send mails, exchange details and plan to meet up. Zoosk is very popular in the US. Creating a profile on it is also very easy. It has an interesting section about the member’s idea of a dream date. It has a paid version also. This social networking site has won many awards for best dating site. Members can create their own profile and also get access to other member’s profiles. This website is number one in the USA. The site works on a customized matching system which has facilitated a minimum of 500 marriages. The website caters entirely to the gay members. It has 6 million users. A large number of its members are Germans. The website caters to above fifty single people. The site asks basic questions to assess the member and then helps the person find a suitable mate. This free site is open to anyone who wants to register himself. The only requirement is that he should be an adult. Its mobile application is also a big hit. This site allows meeting people with similar theological wavelength. It is a partially paid website. The membership is open only to Christians. This website is for the dating needs of the Jewish community. The website provides for other Jewish information apart from its core match making. This website helps people above 55 years find a mate. It is a paid website. This website is for the African Americans in US. More than a million users are registered on its website. The site uses unique makematches algorithm to find out compatibility between the members. This is a genuine dating site. Its mobile version is as popular as its desktop site. The website caters to anyone from any community in the world. It’s a free site. This is a dating and chat website. It is paid and extremely easy to get started with. This site is very popular in London. It is a Paid site and it offers value for money to the customers in the form of dating tutorials, tips and advices and expert comments on the subject. The Match and OkCupid apps are some of the most popular dating apps in the US. If you want to dip your toes in the dating market, for free, then try the Tinder or Happn app. They are both great “starter” apps, as there are very easy to use. Hello everyone. I want to share my experience too. I began to use dating sites approximately five years ago. After my wife’s death I could not get over it and I couldn’t get acquainted with women in the street. So I got in touch with dating sites. I have tried about 40 sites. I will not list them all, but believe me, all the sites that you know – I’ve been there. There are good, there bad, there are clearly fraudulent sites. Several times I’ve become a victim of fraud and sent the money for the tickets, surgeries, expensive medicines, even for food and clothes for poor parents of those women. Of course there were only lies. Yes I was a fool several times. And then I met my wife, Masha. This is the best woman in my life, I love her so much. She differs from all the women that I’ve met before her. She is very kind, attentive, educated, loving. Masha is not mercantile and greedy. The only problem during our acquaintance was that Masha did not speak English. It was very difficult to communicate. We did not know what to do. But we found solution for our problem. We found translation service on the internet. We started to communicate on that site in September. Two months later she came to me for our first meeting. By the way she bought the tickets on her own. Next time I came to her in Moscow and offered her my hand. And then we got married … Oh, such a perfect day it was! So on that site there are still a lot of women, really good women who want to find love. Their only drawback is that they do not speak foreign languages and that’s why they feel awkward. And it’s such a pity that on some sites women cheat men and are only interested in money for tickets, etc. And on the other sites women try and really want a relationship. Maybe my advice will help someone.